The biggest winners on gameweek 22 were a team that’s usually on the receiving end as the worst losers. 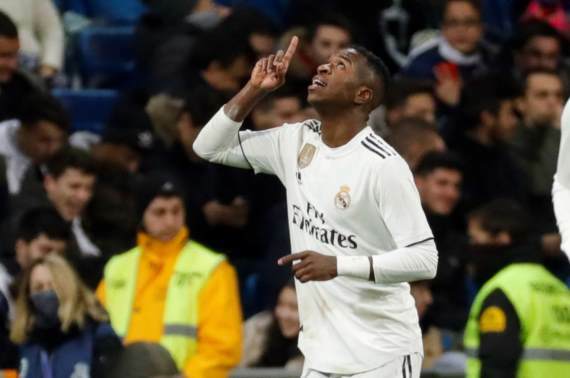 Rock-bottom Huesca shrugged off their dismal form in La Liga this season with a 4-0 rout of Real Valladolid. Atletico Madrid had a rare opportunity to reduce the points at the top of the table after log leaders Barcelona had drawn at home to Valencia on Saturday. Atletico were unbeaten in 19 matches and new striker Alvaro Morata had an unconvincing debut as his side lost 1-0 to Real Betis. The rejuvenated Real Madrid are now two points behind their neighbours whom they face this week at the Wanda Metropolitano Stadium. Real Valladolid started the season brightly but the second half of this campaign has seen them drop dramatically. Because of the good start they are still out of the red zone but if this horrendous form continues they will soon be there about. Huesca delivered one of the biggest reality checks to fellow newcomers last Friday, thrashing them 4-0. Villarreal are in serious trouble after winning just once from their last 16 La Liga fixtures. The Yellow Submarine are even failing to pick up points against teams like Espanyol at home. This is a tricky match but back Real Valladolid at a valuable 2/1. Super Saturday kicks off with a low-key affair as Getafe welcome a frail Celta Vigo to the Coliseum Alfonso Perez. Pepe Bordalas’ men were held to a 0-0 draw at by Europa League contenders Levante last week. Celta Vigo picked up a massive 1-0 victory over fourth-placed Sevilla on Saturday to go one point clear off the red zone. Every game is a must-win game for the visitors with team like Vallecano and Huesca now picking up points and breathing down their necks. This is a fixture Getafe should win. We have a real super football Saturday by all means this weekend and no other game trumps the battle between Atletico Madrid and Real Madrid at the Wanda Metropolitano Stadium. Atletico Madrid title hopes dealt a blow when they were beaten by Real Betis 1-0 last Sunday. Simeone’s men still trail Barcelona by six points and there emerged another heated race with Real Madrid now two points behind their opponents. A win here will see Solari’s men move to second, something we all thought it was impossible when he took over. After the surprise home defeat to Real Sociedad, Los Blancos went on to win five consecutive matches. Thibaut Courtois will look to make it back-to-back clean sheets against his former side and deny former Chelsea teammate Alvaro Morata his first goal. Atletico Madrid are the only unbeaten team at home this season with nine wins and two draws and they also hold the best defensive record, conceding just four goals. Under 2.5 Goals is a certainty at 8/10, though that’s sitting on the fence. For a big game like this, everyone is expecting us to tip a result and I will go for a Draw at 9/4. Espanyol host Rayo Vallecano in a low-profile relegation six-pointer on Saturday afternoon at the RCDE Stadium. The match has a massive importance for the hosts who are struggling badly for consistency in this term of the Spanish La Liga. Since losing 1-0 to Real Madrid, the visitors have been fairly decent, picking up points in all their matches. The good run has seen Vallecano move out of the drop zone for the first time this season. All credit to their head coach Michel for turning things around and doing the unthinkable. Get on Both Team to Score here at 17/20. Real Betis climbed up to sixth in the league after claiming a huge 1-0 victory over Atletico Madrid last Sunday at the Estadio Benito Villamarin. They made it consecutive domestic wins after the previous 3-1 victory over Espanyol in the Copa del Rey. Leganes have been a hard nut to crack at home this season, losing just one game and picking up 17 points in the process. Head-to-head favours the home team as the side playing on their turf has come out victorious in each of their last six meetings. In this fixture, I’ll bet against the stats. Take Real Betis on the Win/Draw Double Chance at 5/10. Girona and Huesca have been struggling badly in La Liga coming into Sunday’s tie at Estadi Municipal de Montilivi. Girona are in a somewhat better position being one point adrift of 13th-placed Leganes. However, they are still five points ahead of their opposition and simply need to claim spoils against one of the weakest teams in the division this weekend. A win here will be the end of Girona’s 13-match run without a win. Huesca were the biggest winners last weekend, thrashing fellow strugglers Valladolid 4-0 in what will go down as their biggest win ever. The visitors have been decent in 2019, picking up seven points in five matches are signs of improvement from the debutants. Huesca have improved, but I’ll back Girona to win here. Valencia were on the verge of causing a huge La Liga upset when they were 2-0 up at the Camp Nou but Lionel Messi’s magic denied them the famous victory and ensured a 2-2 draw. Real Sociedad continued with their unpredictable showings after a convincing win over Athletic Bilbao a week after a shocking draw against Huesca at home. These sides are tied on 30 points and a win here will move either team to the Europa League qualification zone. The momentum is definitely with Valencia these days and this is a perfect opportunity for Los Che to revive their season by being in a respectable position. Get on the hosts at 17/20. Sevilla looked like they would finally change the top three at the beginning of the season but things have taken a turn for the worst. Disappointing performances has seen the club from Seville go six points behind third-placed Real Madrid, a team they were leading by eight points at some stage. The hosts can’t afford to drop anymore points. They were convincing in their last home fixture, winning 5-0 against Levante but they went on to lose 6-1 to Barcelona in the Copa del Rey and lost to a struggling Celta Vigo team in the league. Because of home advantage, back Sevilla at 7/10. We wrap the Sunday fixtures with an interesting match where a resurgent Athletic Bilbao welcome log leaders Barcelona. Ernesto Valverde’s men were held to a 2-2 draw on their own turf by Valencia last Saturday, while Bilbao lost their first league match under new coach Gaizka Garitano. Lionel Messi extend his La Liga scoring streak to eight games and it looks impossible to stop the Argentine at this stage. Back Barcelona at 7/10. This is a clash between two inconsistent teams in La Liga. Both these teams have been unpredictable this season. Only five points separate these two teams, with Alaves occupying the seventh spot and Levante sitting on 11th. At some stage Alaves looked like they will break into the top four for the first time ever when they were third in the log, enjoying an unbeaten run until inconsistency kicked in. Alaves have been better on their turf as they have won five and drawn four of their last 10 home matches. A cagey affair on the cards, but I’ll back Alaves at even money.